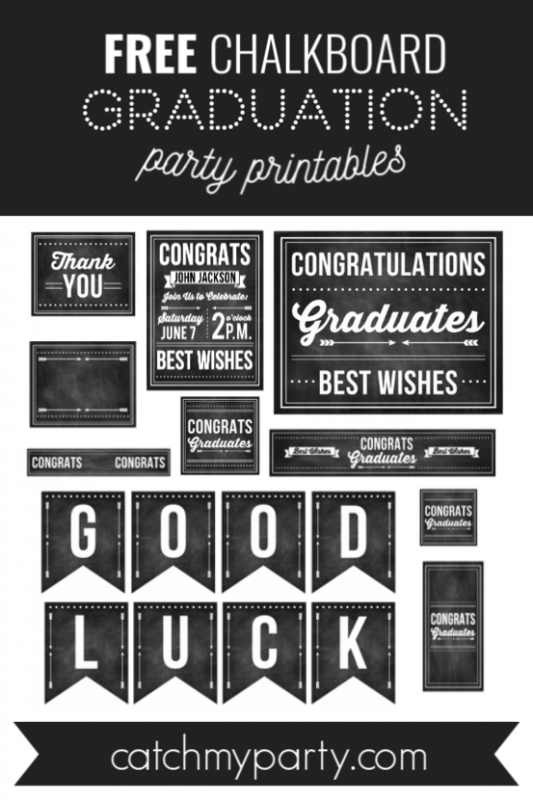 Download These Free Graduation Chalkboard Party Printables! The school year is almost out and before you know it kids will be graduating and summer will be here. Show your son or daughter how proud you are of them by throwing a fabulous graduation party, jammed packed with fun and friends. To help you with your preparations I'm so happy to share with you this set of awesome chalkboard graduation party printables. This Dinosaur Birthday Party Will Make You Want To Roar! So many wonderful parties were added to Catch My Party this week, including a fun dinosaur birthday party. The dessert table will blow your mind, it's that beautiful! 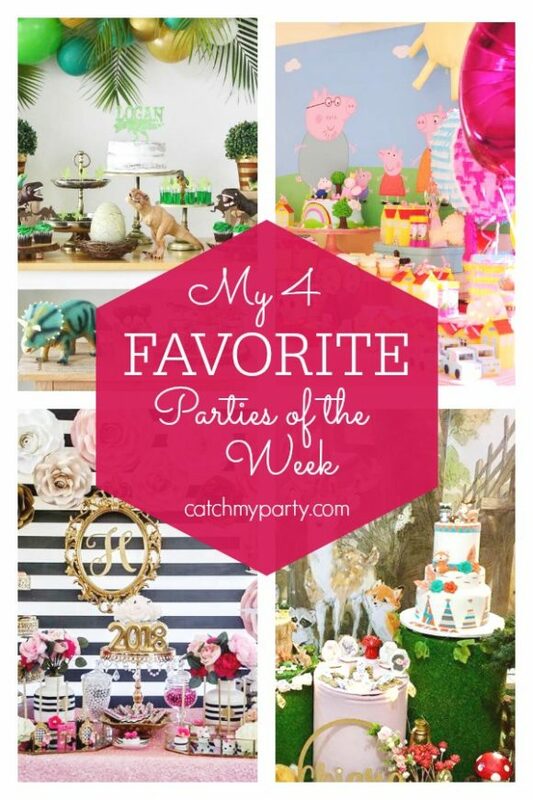 Be sure to go through the other 3 favorites parties this week for lots of party ideas and inspiration. Graduation parties are a great way to mark an incredible milestone in your child's life and education. What's fun is that you can throw a graduation party for preschool, elementary school, middle school, high school, college, or even graduate school. School is almost out and with it comes the traditional wave of graduation parties designed to celebrate all that has been accomplished and to look forward to new beginnings. So, if you're planning a graduation party, check out these 12 must-see graduation party ideas we've rounded up for you and that are sure to get you inspired! I'm a big believer in creating DIY party decor that is fast, easy=, and inexpensive. And why do I believe that? Because if it's all three of those things, you're more apt to do it! This is why I'm happy to share this 2016 tissue paper graduation party decor craft. It's simple to make, fast, and won't cost an arm and a leg, but the best part is that it is a show-stopper. Plus, you can customize the colors any way you like! We created this one in gold and black because those are the on-trend graduation party colors right now. How To Train Your Dragon Birthday Party and More! This week my favorite parties include a girly How To Train Your Dragon birthday party (love this idea! ), an amazing pirate party held on the beach, a super creative preschool graduation party, and a fun retro housewife bridal shower party you don't want to miss! Take a look here. They're all fabulous! 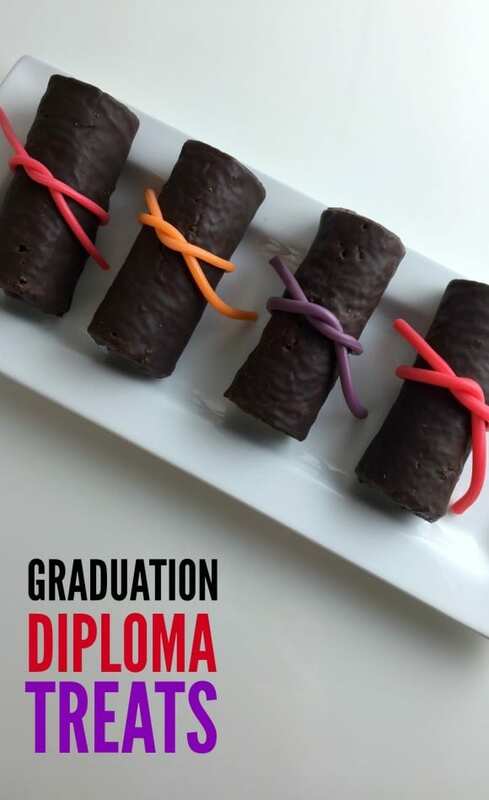 I made these graduation diploma treats in five minutes using Hostess Ho Hos and Twizzlers Pull'n'Peel candy. 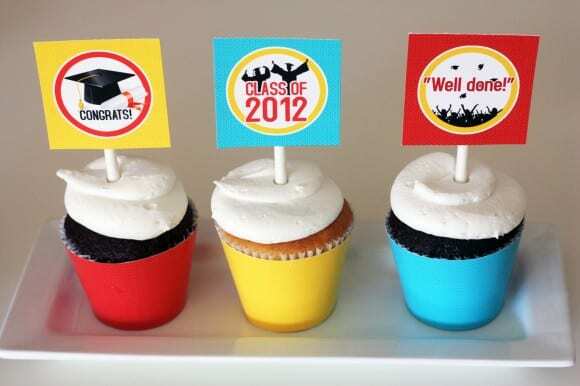 They would look adorable on a graduation party dessert table with our free graduation party printables. Check out my graduation diploma treats video here! 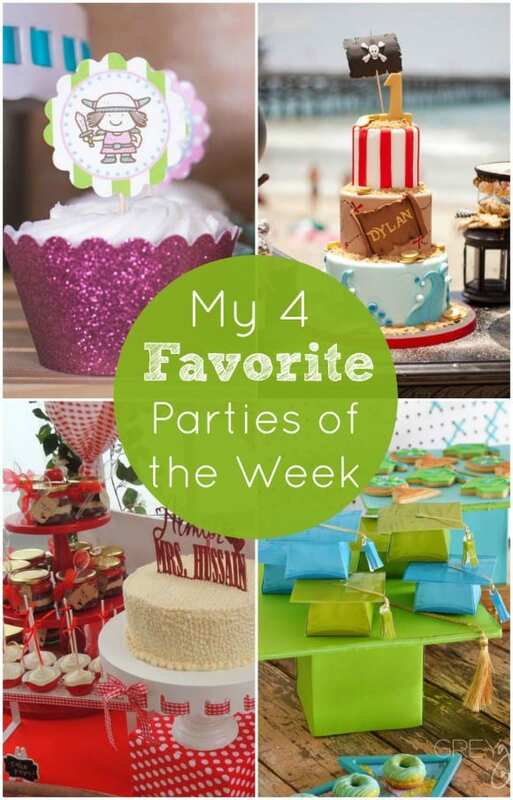 Today we're sharing some fantastic graduation party ideas from Laura Aguirre from Laura's Little Party! Graduation is upon us, and with that comes excited students, fun, and parties. Here I’ll be showing you ways to make your graduation party a success. Can you believe it's almost graduation? How fast has this school year flown! If you're throwing a graduation party we've got this fantastic set of free "Graduation 2012" printables from Yulia at Sarah Hope Designs. I love how versatile the colors are!